Travelling is one of the best hobbies that you can adopt. Not only is it extremely enriching, but travelling allows you to learn things about people and the world in general that you will never find in any textbook. Meeting new people, exploring historical sites and delving into distinct cultures is an unparalleled experience. The world is a beautiful place, and it’s just waiting to be explored! However, there are certain things you need to keep in mind when planning a trip to another country. Most countries have strict requirements and guidelines that tourists must follow. The most important thing you need to consider when planning a trip is to purchase the travel insurance policy. What will you do if you fall sick or injure yourself when travelling to another country? The costs of healthcare generally differ from one country to another. In the UK, most people can rely on the NHS for treatment. It doesn’t cost as much as the United States, where healthcare is extremely expensive; even small treatments can cost a fortune. Therefore, protecting yourself is very important. If you are travelling to another country without travel insurance, you might become a liability on the government in case you get injured. The government will have to foot your medical bills and then send you back to your home country. To prevent such hassles, almost every country now has specific guidelines about travelling with a medical insurance policy. Unfortunately, most people don’t realise the importance of selecting an insurance plan carefully. Even though your travel agent will suggest a bundled insurance policy, it’s generally wise to weigh your options carefully and then make a decision. You will be able to save a lot of money if you choose the right insurance plan. Travel insurance policies are now served up by almost every insurance company in the United Kingdom. However, there are a few things that you must understand before buying any policy. First of all, you should take a look at the premium. How much money will you have to pay for purchasing the insurance policy? Most insurance policies only cover the duration of the trip, so it’s best to choose a policy that’s the most affordable. It’s highly unlikely that your insurance company will come into effect. 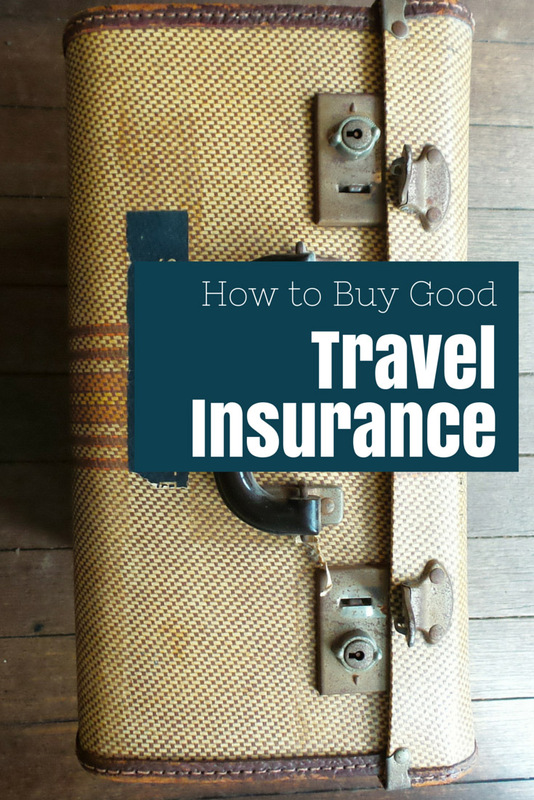 Most people never even have to use the insurance policy while travelling abroad. Secondly, apart from the premium, you should also carefully read through the terms and conditions document. Most companies don’t offer insurance policies to customers travelling to different countries such as Iran, Syria, Congo, or other locations. Signing at the bottom of the policy without reading the terms and conditions is a stupid mistake. You might expose yourself to various loopholes if you haven’t read the policy. In most cases, it’s recommended that you request tailored quotes from three or four insurance providers. This will allow you to compare the rates and then decide upon the best policy based on your needs. Cheaper travel insurance providers such as Now Travel Insurance offer a plethora of different policies for their customers. You can easily browse through different policies and then make a decision. Travel insurance policies are further divided into various different types of policies. These cater to the specific needs of travellers. Depending on the nature of your trip, you need to choose a suitable policy for yourself. Here are some of the common insurance policies offered by most reputable insurance companies. If you are planning a cruise in another country, you will need to purchase cruise travel insurance. Cruise travel insurance generally provides cover to travellers in case they miss the port or fall sick while on the cruise. If the captain orders you to stay inside the cabin for the duration of the trip, your whole trip will be ruined. Cruise travel insurance will reimburse you for the costs of the trip in case this happens. Wedding travel insurance policies are designed for groups of people who are travelling to another country to get married. If you are planning a fairy-tale wedding in another country, the first thing that you need to do is protect yourself. Wedding insurance policies provide cover in case the engagement ring is lost or the wedding plans have to be rescheduled due to certain acceptable reasons. Most people spend a small fortune planning their wedding in another country. It’s only logical that you protect your investment by purchasing insurance cover for the whole event. Looking to go on your next big adventure? Whether you want to climb the mountains in a country or engage in thrilling activities such as mountain biking, bungee jumping, or any other high-adrenaline activities, you will need to purchase adventure travel insurance. The chances of getting injured are generally higher for those who participate in such activities. Ordinary travel insurance policies do not provide any sort of cover in case you injure yourself while taking part in such activities; however, adventure travel insurance policies are specifically designed for such reasons. Business travel insurance is designed for businessmen. It provides cover for the business equipment they have to take on their travels, along with any samples as well. The insurance policy also provides cover for hiring business equipment as well as the costs of emergency courier of business equipment. You will also get cover for additional personal accidents. Most insurance policies are generally designed for individuals. That doesn’t mean every member of the family has to purchase a separate insurance plan if you are travelling as one family. Many insurance companies now provide travel insurance policies for families. The company will give you a lump sum quote depending on the number of people in the family and if they have any specific medical conditions. This could help you save a considerable amount of money in the long run.